Over 29 million Americans have diabetes but more than 8 million people may be undiagnosed and unaware of their condition. The cost of prediabetes and diabetes is $322 billion in the US. There are lots of online resources to help diabetics learn more about their condition and find adequate health supplies. Helping people prevent, cure, or find relief from medical conditions is a noble cause, and a great way to make money as long as you do it ethically. Here are 10 great diabetes affiliate programs to help you dig into this industry. Diabetes Herbal Care was created to help cure life threatening diseases like diabetes. They take a holistic medicine approach to treat health conditions. All of their products are manufactured in FDA approved facilities. Their average order value is $2000. Diabetes Herbal Care uses Refersion to manage their affiliate program and provide marketing materials and tools. Affiliates can market their products on their website, blog, social media accounts, newsletter and through email marketing or telemarketing. Affiliates earn a $50 sign up bonus after their first 3 successful sales. Bens Diabetes is a sub brand of Bens Natural Health. They are a premium health brand that focuses on treating metabolic conditions naturally. Their book, How to Reverse Diabetes Fast, is a scientifically backed guide to naturally reversing diabetes. They use Clickbank to run their affiliate program. Ben's Diabetes provides their affiliates with exclusive landing pages, high converting banners, graphics, pre-written emails, and product images. Affiliates can check their clicks, sales, and commission payouts in real time on their affiliate dashboard. They are currently offering their ebook for $19.95 which means affiliates earn approximately $14.96 for every download they refer. Silvert’s has been creating adaptive apparel and footwear that are easy to put on and wear for the last 88 years. Their products are considered not only a necessity but an enhancement to the quality of life to many aging baby boomers. They have an entire line of clothing and footwear specifically designed for people with Diabetes. Affiliates can sign up on Silvert’s website. They provide their affiliates with marketing materials including banners, logos, and tracking links. Their website department is happy to assist you with any questions and offer suggestions. The customers you refer become linked to your affiliate account for life even if they clear their cookies. Total Diabetes Supply sells discount diabetes and medical supplies online. They carry brand name supplies at discounts from 20-85% off retail prices. Some of their top brands include OneTouch Ultra, Nova Max, Advocate, and Accu-Chek. They also have a great selection of diabetic socks, shoes, food, dietary supplements, and other medical supplies. Their average order size is $85 with a 7.8% conversion rate. Total Diabetes Supply uses Commission Junction to run their affiliate program. Affiliates have access to professionally designed banners, text links, tracking tools, and help from their affiliate management team at eAccountable. Affiliates can also sign up with ShareASale, but there commission rate is only 1% instead of 4%. DiaMetrix was designed to help increase the body’s insulin sensitivity. They are supported by a gold standard, double blind clinical study and are one of the most effective glucose supplements available. Their powerful product helps people save money by combining all of their blood sugar supplements into one. They use 1ShoppingCart to manage their affiliate program. DiaMetrix provides their affiliates with banners, text links, and advanced third party tracking. They will even create custom banner and email ads to match your site. Affiliates with high performing websites may be eligible for progressive payouts. Medical Supply Depot is a worldwide provider of medical supplies. They offer name brands at deep discounts, free shipping on orders over $75, and hassle free returns. 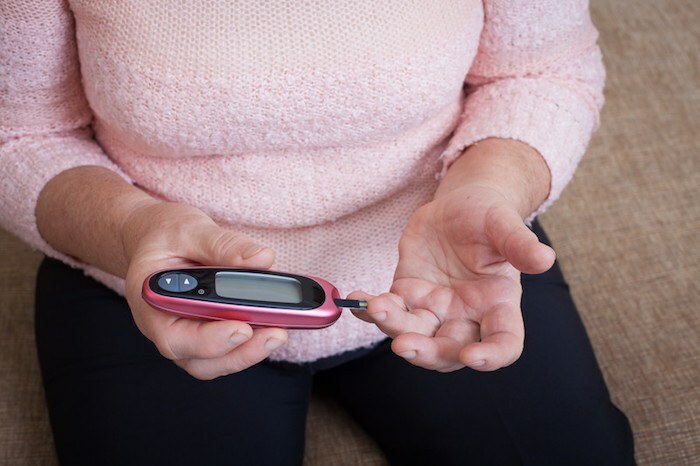 Their product catalog includes a great selection of diabetic tools and supplies including blood sugar monitors, test strips, skin care, and diabetic socks. Their average order value is $125. Affiliates can join with Rakuten Marketing or ShareASale. Affiliates have access to high quality banners, text links, coupons, data feeds, and tracking tools. Both programs are managed by BlueCherryGroup who are available to assist affiliates with any questions. Commission rates are based on monthly sales: 5% for up to $2,500, 6% for up to $7,499, and 7% for $7,500 or more. Dr. Leonard’s Healthcare is the top online healthcare catalog in the US with millions of customers. They carry everything from wheelchairs, blood pressure monitors, diabetes supplies, exercise equipment, and more. Their easy to use website lets you shop by category or condition to make it easier to find exactly what you are looking for quickly. They have partnered with Commission Junction to run their affiliate program. Dr. Leonard’s Healthcare supplies their affiliates with a great selection of marketing materials. Affiliates also have access to their extensive product catalog, coupon codes, and special offers like free shipping to help increase conversion rates. Affiliates can also earn 6% commissions on their other site, CarolWright Gifts. The Reverse Type 2 Diabetes Naturally ebook helps people discover how practical methods like good diet and exercise can help manage or even reverse the negative effects of Type 2 diabetes. They offer their customers an excellent support system and have a high conversion rate on sale. Their affiliate program is powered by Clickbank. They help their affiliates learn their tested strategies for promoting their ebook on Google Adwords, PPC, Facebook, Youtube, and more. Affiliates receive commission checks twice a month with a low $10 minimum payout. Affiliates earn approximately $35 per sale with lifetime cookie for unlimited earnings potential. OraCoat creates dry mouth oral care products that moisturize and coat the mouth to provide soothing relief that last for hours. Dry mouth affects approximately 20% of diabetics. Dry mouth can lead to additional health issues like tooth decay which increases blood sugar as their body tries to fight off the infection. They use ShareASale to run their affiliate program. Oracoat provides creatives, real time reporting, and a private interface for all of their affiliates. Affiliates can add their affiliate links and banner ads to their blog or website to start earning commissions right away. Affiliates earn 3% commissions from their referred affiliates’ sales as well. Discount Medical Supplies is a medical equipment supply company owned and operated by physicians. They provide the highest quality products at the lowest available prices. They have designed their web pages for maximum effectiveness and high conversions. Their affiliate program is managed on Commission Junction. Discount Medical Supplies gives their affiliates access to banner ads, engaging creative, and tracking tools. They also provide educational resources, helpful articles, and 24/7 affiliate support. Why Should You Promote Discount Medical Supplies: High converting web pages, 24/7 affiliate support. Affiliates have access to highly engaging creatives to help increase conversion rates. Now that you’ve read about 10 great diabetes affiliate programs, it’s time to pick a niche to target. You could focus on diabetic medical supplies. Total Diabetes Supply offers discounts of up to 85% off retail. Affiliates earn 4% commissions on sales. Another niche idea is cures, or natural cures diabetic symptoms like dry mouth. Oracoat creates dry mouth solutions that last for hours. They offer 5% commissions and 3% 2nd Tier commissions from your referred affiliates. You could also focus on diabetic apparel like diabetic socks. Silvert’s makes adaptive and diabetic clothing to improve people’s lives. Affiliates earn 10% commissions on sales with a lifetime cookie life. Diabetic meals, or meal kits is another idea. This industry is rich with opportunities, and best of all, you get to help people while you're making money.